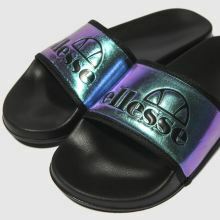 Did somebody say oil slick? 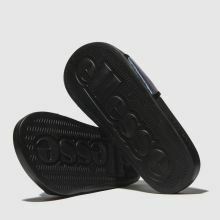 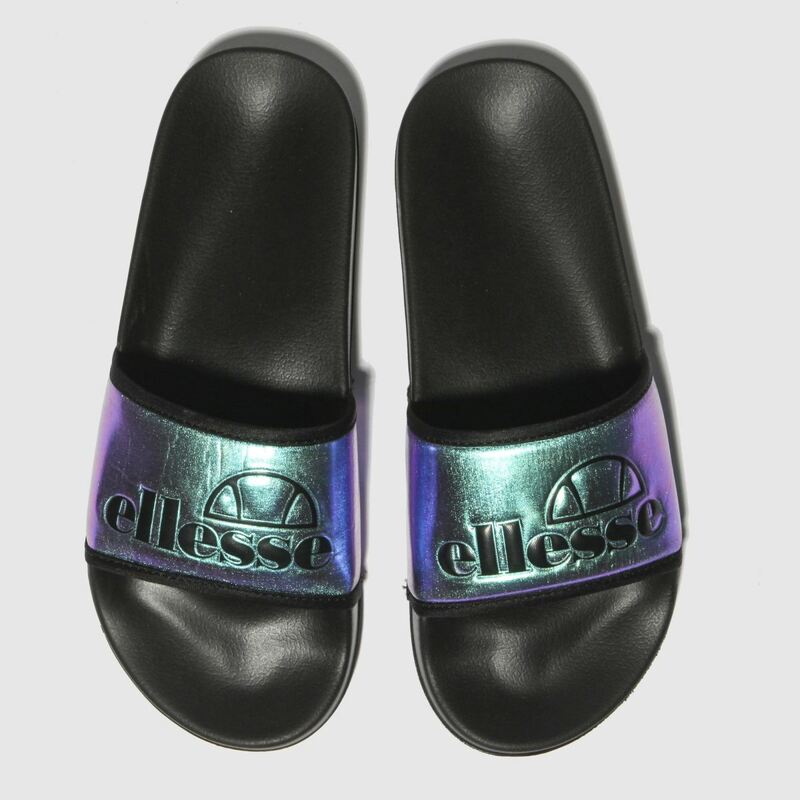 You won't regret copping the fresh ellesse Filippo slide while you have the chance. 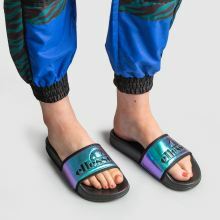 This black man-made footbed poolslide boasts a comfortable purple foot strap which features oversized branding for a sleek retro finish.